Dr. Maria Montessori believed that no human being is educated by another person. The goal of education should not be to fill the child with facts from a prepared curriculum, but to cultivate the child’s own natural desire to learn. 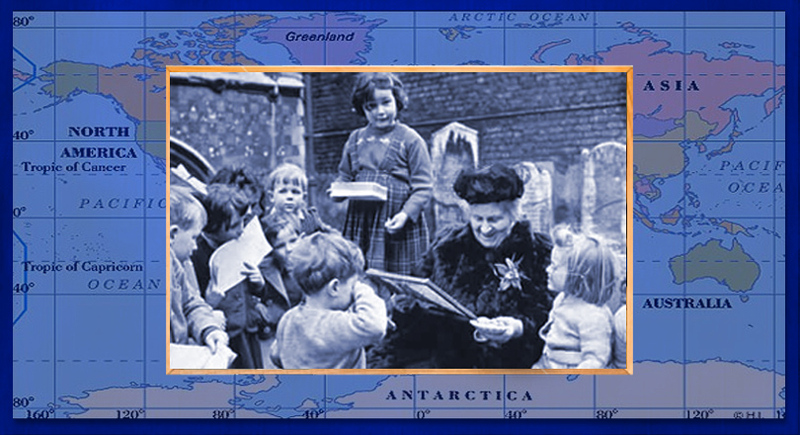 Dr. Montessori spent her life observing children in many different countries and cultures. She felt that children should be provided with a special environment to allow them to develop their full potential as individual beings. The Montessori classroom is specifically designed to meet the needs of the young child. It is a “house for children”, where they have the opportunity to develop such qualities as self-discipline, self-motivation, independence, love of learning and social skills through work and play with specialized learning materials. The uniquely-designed materials are developmentally graded and self-correcting so the child may learn through manipulative discovery, without fear of failure. The child grows in knowledge as his interests lead him from one discovery to another. There is motivation to do the work because it is freely chosen and it fulfills the needs of the “sensitive periods” of a child’s life when he/she is strongly attracted to a particular area of learning; e.g. language, mathematics, geography, etc. At Maple Children’s Montessori School, we are devoted to Maria Montessori’s learning method, and we are proud of our commitment to offer a rich varied program that remains true to the methods and precepts developed by the late Maria Montessori. The teachers help in the children’s classroom to perfect the natural tools for learning; i.e. the hand and the senses, by first demonstrating the activities and then giving them as much opportunity as they need to practice them. The mixed age groups within our Montessori classrooms give children the opportunity to develop as individuals without the pressure of competition. The older children provide the models of imitation for the young children and in turn reinforce their own learning by helping the younger ones. Aside from the Montessori program, we offer supplementary group activities in Physical Education, Visual Art, French and Music, providing the opportunity to enrich the creative/imaginative horizon of a child’s mind and to foster self-expression, communication and the spirit of working together. Maple Children's Montessori School is a CCMA Accredited School and we will continue to maintain this accolade by following through on our Mission Statement. MCMS takes great pride in offering a true Montessori experience for your child from Pre Casa up to Casa.